Fred Castro is the second assistant to leave since UW's historic run to the Final Four, joining the departed Adia Barnes. 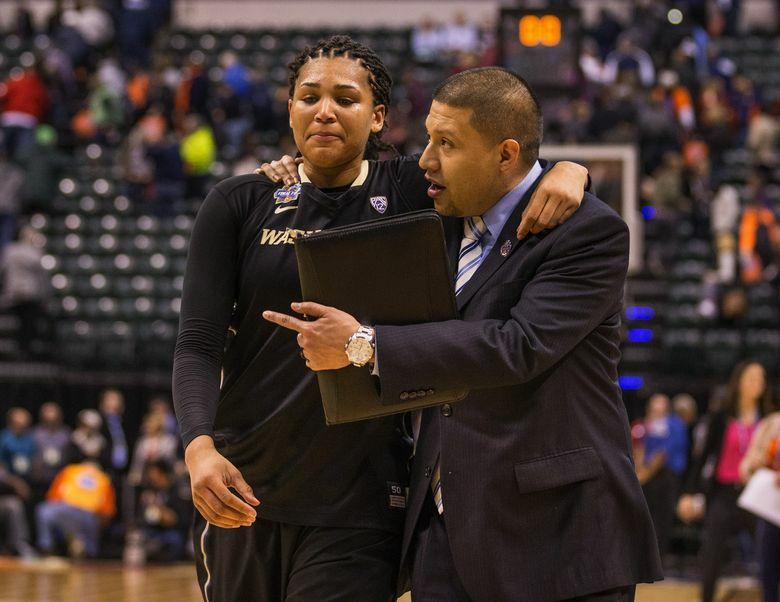 The Washington women’s basketball team has lost another assistant coach after its historic run to the Final Four last month. Fred Castro has been hired as the new coach at Eastern Michigan, his first head-coaching job, the school announced Thursday. The 36-year-old Castro will be formally introduced at a press conference in Ypsilanti, Mich., on Monday. As UW’s offensive coordinator under Mike Neighbors the past three seasons, Castro had worked primarily with guards, helping junior Kelsey Plum blossom into the program’s first-ever WBCA All-American this year. Castro is the second assistant coach to leave UW since the Final Four. Adia Barnes left to take over as the head coach at her alma mater, Arizona, last month.